Normally you do not know how to evaluate an oral presentation or oral test. 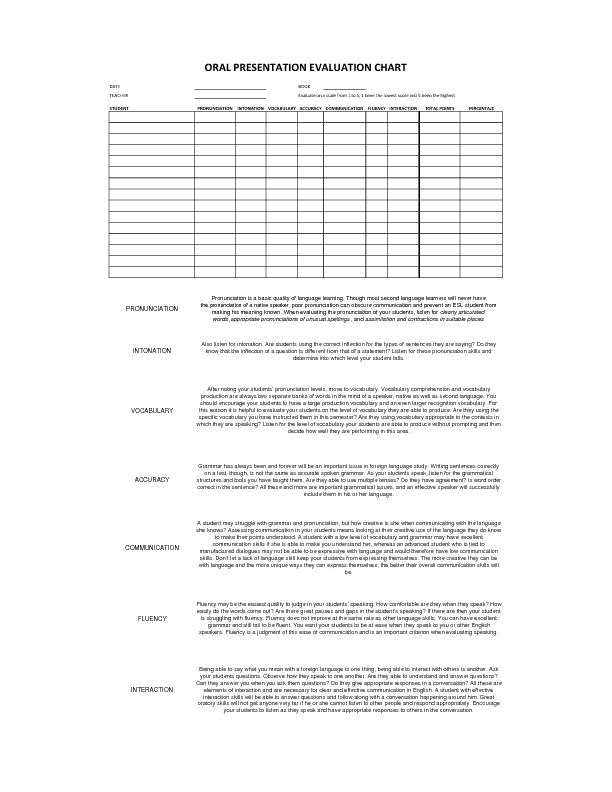 Well, here you have an evaluation chart that I created based on information I got from different places, so that you can use it as a guide to evaluate an oral presentation. In my opinion, this is applicable as a useful tool to evaluate any level.